The description of emerging collective phenomena and self-organization in systems composed of large numbers of individuals has gained increasing interest from various research communities in biology, ecology, robotics and control theory, as well as sociology and economics. Applied mathematics is concerned with the construction, analysis and interpretation of mathematical models that can shed light on significant problems of the natural sciences as well as our daily lives. To this set of problems belongs the description of the collective behaviours of complex systems composed by a large enough number of individuals. Examples of such systems are interacting agents in a financial market, potential voters during political elections, or groups of animals with a tendency to flock or herd. 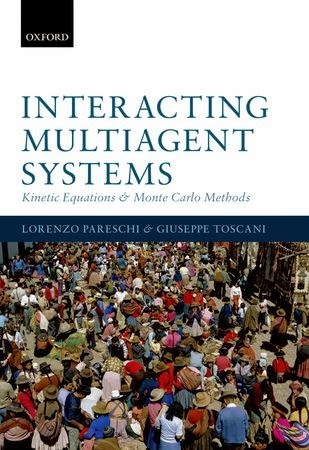 Among other possible approaches, this book provides a step-by-step introduction to the mathematical modelling based on a mesoscopic description and the construction of efficient simulation algorithms by Monte Carlo methods. The arguments of the book cover various applications, from the analysis of wealth distributions, the formation of opinions and choices, the price dynamics in a financial market, to the description of cell mutations and the swarming of birds and fishes. By means of methods inspired by the kinetic theory of rarefied gases, a robust approach to mathematical modelling and numerical simulation of multi-agent systems is presented in detail. The content is a useful reference text for applied mathematicians, physicists, biologists and economists who want to learn about modelling and approximation of such challenging phenomena. Readership: Graduate students and researchers in mathematics, physics, economics, and biology. Also those with an interest in econophysics, collective behaviour, and swarming.